Rackspace Hosting announced new features for its free and open source Rackspace Private Cloud Software, which powered by OpenStack, including a single interface for deploying, configuring and operating clouds at scale in an enterprise data center. Rackspace Private Cloud Software is a combination of stable OpenStack community 'trunk' code and proven Rackspace tools, packaging and configuration. Rackspace engineers have validated and certified products from over nine major industry partners for the private cloud software through its Technology Alliance Program. 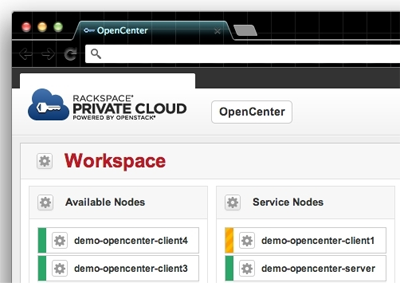 "Rackspace Private Cloud’s powerful new OpenCenter platform is a user interface and orchestration tool built to deploy, operate and scale on-premise private clouds. This paves the way for Rackspace to bring its continuous integration and deployment expertise from the public cloud arena into private enterprise data centers,” said Jim Curry, SVP and GM of Rackspace Private Cloud. “We are taking our own solid technology practices forward into private open cloud backed by Fanatical Support." "Through the operation of The Rackspace Open Cloud, built on OpenStack, we have already seen over 1590 code releases pushed live to open cloud without customer disruption. This joins 465 million API requests for Cloud Servers and a total of over 8400 unit tests have been run before each code release, so it has been a busy and dynamic period," Curry said. Atrato Communications has selected Hibernia Networks to provide multiple 100 Gigabit Ethernet circuits to bolster its global IP backbone. The deployment is Atrato’s first native 100 Gigabit Ethernet deployment within Europe. Financial terms were not disclosed. 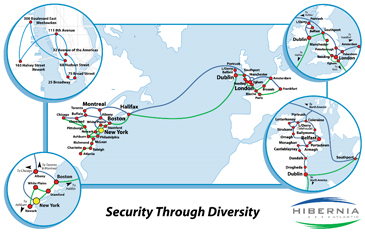 Atrato operates a Global Network (AS5580) with both MPLS and IP services on its core backbone. "Atrato built its network with the latest in technology and is directly connected to key Internet exchanges to ensure we can deliver the most resilient and low latency network routes,” states Michiel Muhlenbaumer, CEO for Atrato Communications. “Our new multiple 100 Gigabit Ethernet agreement with Hibernia Networks further prepares Atrato for the extreme growth we’ve been experiencing across the global IP market." As part of its national Project Velocity IP initiative announced in November 2012, AT&T expects to invest between $600 and $800 million during 2013 to 2015 in the state of Kentucky. 4G LTE Expansion. AT&T plans to expand its 4G LTE network to cover the majority of people in Kentucky. Currently AT&T 4G LTE has been launched in Louisville, Lexington and Bowling Green. Densification & Small Cell Technology. 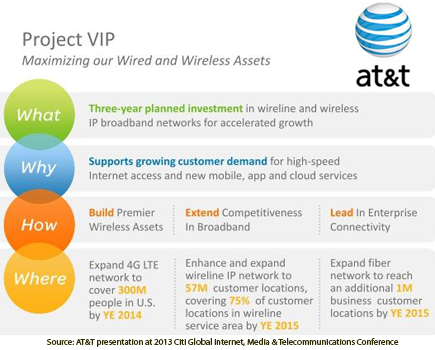 As part of Project VIP, AT&T will increase the density of its wireless network, which is expected to further improve network quality and increase spectrum efficiency. AT&T plans to expand U-verse (TV, Internet, VoIP). Upgrade U-verse Internet service to speeds ranging from up to 75Mbps to up to 100Mbps. AT&T plans to proactively expand its fiber network to reach business locations in Kentucky. Mellanox Technologies confirmed that its FDR 56Gb/s InfiniBand adapters and switches accelerate Microsoft’s new SQL Server 2012 Parallel Data Warehouse appliance. Mellanox said tests show that the new appliance enables completion of a warehouse query of over 1,000 Terabytes of data in less than two seconds, compared to the previous generation’s completion time of two minutes with just 100 Terabytes of data. Microsoft SQL Server 2012 Parallel Data Warehouse (PDW) is a scalable data warehouse appliance that delivers performance and scalability through massively parallel processing connected by a single high-speed 56Gb/s InfiniBand interconnect. PDW takes advantage of Windows Servers 2012 SMB Direct protocol to support storage access over native RDMA, and can use Mellanox interconnect solutions to accelerate access to storage by 10X. 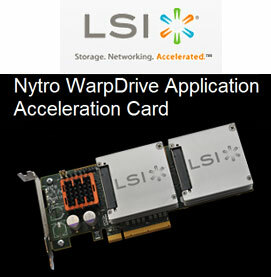 LSI's Nytro WarpDrive family of application acceleration PCIe flash cards has been validated for use with NetApp Flash Accel software. The combined server flash caching solution can be used to speed application performance by converting server-based flash into "hot" data cache for critical business applications. Specifically, the LSI and NetApp solution delivers automated and intelligent caching of hot data to PCIe flash storage. The LSI Nytro WarpDrive cards deployed in conjunction with Flash Accel software intelligently place the most frequently accessed or "hot" data on ultra-low latency, high-performance PCIe flash storage. The companies said test results have shown a reduction in application and server latency by up to 90 percent while increasing throughput by up to 80 percent. By allowing infrequently accessed data to remain on HDD storage, organizations can deploy an economical mix of flash and hard-disk storage, optimizing both cost per IOPS and cost per gigabyte of storage capacity. "Flash memory adoption in the enterprise is a powerful complement to hard-disk-based network storage," said Tim Russell, vice president, Data Lifecycle Ecosystem Group, NetApp. "Deploying flash as a high-speed cache in the server is a simple and cost-effective way to significantly reduce latency and I/O bottlenecks, while providing enterprise-level data protection and manageability for the entire infrastructure. Working with our server cache partners, we're able to offer customers a complete end-to-end, high-speed solution." 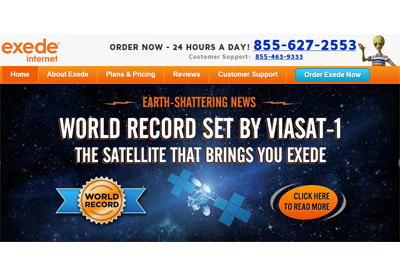 Since introducing its "Exede" Internet satellite service in January 2012, ViaSat has signed more than 200,000 customers. The company announced that the ViaSat-1 satellite that powers the Exede service has earned a Guinness World Records title as the highest-capacity communications satellite. At the time of its launch in October 2011, ViaSat-1 had more capacity than all of the other communication satellites covering North America combined. The record confirms that ViaSat-1 provides the most total throughput capacity over the U.S. and Canada – 100 times the capacity of a typical Ku-band satellite and 10 times the throughput of any Ka-band satellite launched prior to ViaSat-1. TeraXion, which manufactures optical components and modules, acquired COGO Optronics' Canadian subsidiary along with critical intellectual property assets. Financial terms were not disclosed. "Today's announcement is another milestone in line with our organic and acquisitive growth strategy. The team in Ottawa and California is bringing new and highly complementary expertise to our current capabilities. The InP modulator product line developed over the years at COGO has all the attributes to meet the market’s needs for next-generation 100 Gb/s and above transceiver development", mentioned Alain-Jacques Simard, President and CEO, TeraXion. "This additional building block will accelerate the development of our photonic integration products roadmap where performance, size and power consumption are key requirements", said Martin Guy, V-P Product Management and CTO at TeraXion. "This combination will better service the needs of our existing customers and accelerate the time to market of the rich products pipeline COGO has been developing in conjunction with leading customers", commented COGO’s CEO Alka Swanson. "Combining the advanced InP technology and products developed by COGO with the larger scale and market reach of TeraXion will result in a more stable commercial platform from which the business can be ramped to its full potential", further noted COGO's CFO Ron Lacey. The Layer 2-3 Ethernet Switch market reached $21 Billion in 2012 with almost all growth coming from data center deployments as spending in campus networks remained weak for most vendors, according to a recent report by Dell'Oro Group. The report found that Fixed Top-of-Rack (Purpose Built) 10 Gigabit Ethernet revenues grew over 50 percent in 2012, with strong demand from both enterprise data center, and especially Service Provider Cloud customers. Vendors with current Ethernet Switch offerings in this segment include: Alcatel-Lucent, Arista, Avaya, Brocade, Cisco, Dell, Enterasys, Extreme, HP, IBM, and Juniper. "Ethernet Switch Market revenues in 2012 achieved a new record at $21 Billion. However weak spending by the U.S. government as well as a customer preference change caused Modular switching to contract in 2012," said Alan Weckel, Vice President at Dell'Oro Group. "We expected a shift towards Fixed as improved stacking and resiliency in Fixed switching helped campus deployments make the shift away from Modular, but we believe the lack of spending by the U.S. government, which typically purchases Modular, was an additional pressure that caused the 2012 weakness. In looking forward to 2013, while we expect the market to grow robustly with strong gains coming from the data center, we expect Modular will not improve significantly," stated Weckel.